Creating a smart home may seem like an uphill battle for many who just don’t know where to begin. It’s easy to get carried away when transforming your home, and almost always leads to overspending. This may seem like an easy first step, but it requires a lot of research. 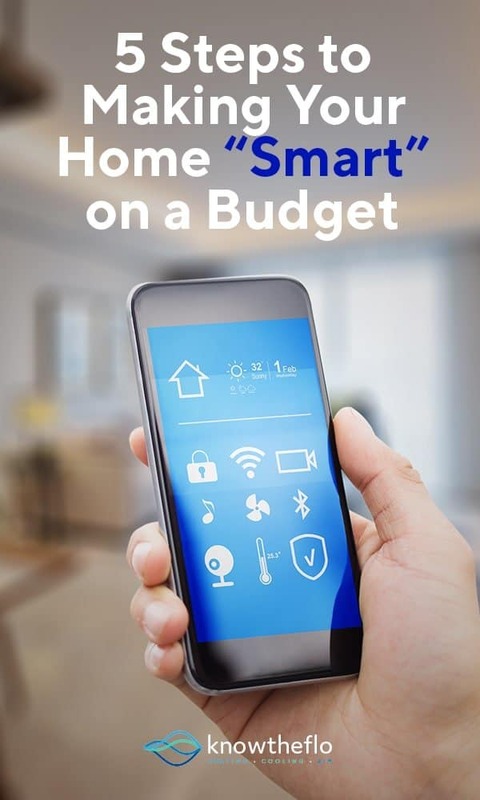 Look into some smart gadgets and appliances to get a feel for how pricey these products are and think about a budget range to stay between for the project. Is your budget $2000 or is it $200? Figuring out simple questions like this will help you generate an idea of how many smart products to buy for your home and at what value. One of the best ways to figure out your smart home priorities is to go from room to room and create a list of what technologies are most important. Smart thermostat ($90-$250) – Although the upfront cost of a smart thermostat system may seem a bit much to begin with, the overall cost savings, in the long run, turn out to be worth it. Many of these have the ability to establish a heating and cooling schedule and can be set to eco-mode from your smartphone, so if you leave the heat on when you’re out of the house, you still have the ability to change the setting and save some money. Smart Lights ($9-$50 for a single bulb)- Smart lighting has come a long way since The Clapper system. Now, you can connect your smart light bulb with an app on your phone to set the lighting where you wish without reaching for the switch. Many smart lights allow you to create a schedule, so if you have a hard time waking up in the morning, you can set the bulb to light up when your alarm goes off. Why stop at your lighting when you could fully integrate your bedroom into your smart home with a smart mattress? New advancements offer mattresses that easily adjust to your room and body temperature, helping you wake up feeling refreshed every morning. It may take some digging through some reviews to find the best option, but it’s definitely worth it for your sleep. Smart speaker ($70-$259) – With so many on the market, it may be hard to choose – but a smart speaker in the kitchen is a must when transforming your home to a smart one. A smart speaker can read off recipes, play music, and set timers all with a simple speech demand. With some ideas of essential products for each of your most important rooms in the house, compare and contrast different brands within each category of products to determine the best value – keeping your budget in mind, of course. Now that you know your budget and have a list of items that you want to purchase, be sure to purchase during the right time of the year, check for coupons, and see if there are any other sales that you can take advantage of. You have all your essential smart home products installed, so you can sit back, relax, and enjoy your new smart home (and not have to worry about your wallet! ).